To build a wind turbine to harvest this freely available renewable energy resource sounds simple. 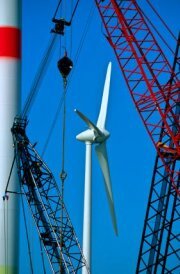 We can see these slowly rotating giant blades increasingly in many countries. From ancient times people have been building constructions to harvest the wind. And even in using them to create electricity - the first for this purpose was built in the late 1800s. We know spinning wires in a magnetic field will create an electric current. So to develop a wind generator to transfer such a motion from a spinning-bladed windmill sounds elementary. There are a few considerations - such as the variability in speed (and at times absence) and direction of the wind. Electricity from a wind generator is always going to be at the mercy of the weather - a highly variable fluid system anyway. Ideally to overcome these variations there will need to be some sort of storage (battery) system or other power supplies that can cover down-times. 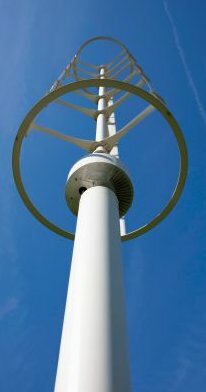 Also with very strong wind forces, the wind turbines need to be created either to withstand these or be shielded or protected in some way to prevent damage to all parts of the apparatus. It is a significant structure. Local landforms and buildings will create turbulence in an otherwise laminar wind flow. For a turbine this complicates the harvesting and also increases stresses through the apparatus. 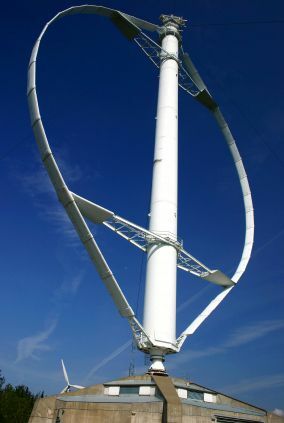 It is possible to positively utilise turbulence effects siting the wind turbines above or between objects that deflect the wind. To generate higher electricity outputs larger turbines need to be turned which requires larger vanes to be employed. The larger the vanes, the less frequently will the rotors turn. To create a more reliable current some sort of gearing system is required. Again to maximise power generation, using stronger magnets for the wound coils to circulate in will create greater currents. All large turbines currently produced have rare earth magnetic units with the much greater magnetic effect. In recent times China's monopoly on world supply of rare earths has created problems with both supply and price of these essential elements. 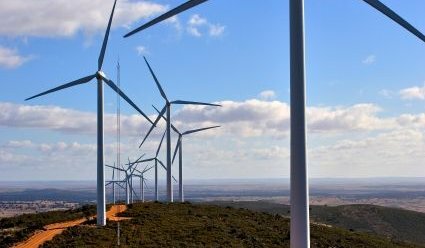 To maximally benefit from the stongest winds, the installations need to be sited on the most exposed and open areas, facing towards the prevailing wind direction. And they require a reasonable elevation above ground level. 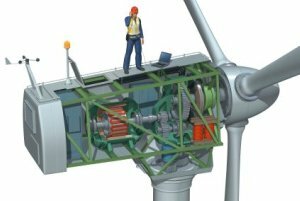 Adjusting for wind direction changes is easy for small turbines - a directional vane may be all that is required. But for large wind turbines some method to rotate these large and heavy structures to face the prevailing wind is necessary. This is true for standard horizontally-directed turbines. The vertically-orientated ones do not need to be ajusted for wind direction at all. But they tend to be less efficient and may require some motor force to initiate rotation. 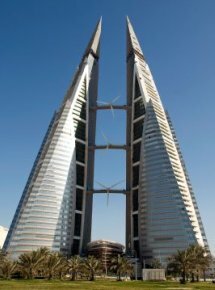 With the size of the structures for commercial power production, other considerations come into play - like the aesthetic and noise-related effects. There is a thrubbing humming and whirring sound. Some concerns about such effects have been explored in a health-related section. As with all electricity-producing devices the cost of the structure and its installation is important in calculating the real benefit it can produce. At least the fuel is free and renewable! New technologies are emerging all the time. And there is a strong driving force to utilise simple renewable energy sources to encourage development and deployment. Although there are increasing numbers of these installations around the world, it is interesting to note that major manufacturers had noticed a lessened demand in recent economic recession times. Is wind power generation a fashion statement or a necessity? The wind turbine is an ideal method to harvest this common source. Already providing a significant amount of many countries' renewable energy portfolios it will be interesting to see the proportion of our energy requirements it will provide long term. So far the largest commercial developments have been in Europe. With the small number of manufacturers in the world it is therefore no surprise that the largest wind turbine maker is the Danish Vestas group.